In the fall of 2001 eleven new songs from "LOVE & THEFT" were introduced by Bob Dylan to his 35 live audiences. Some of them he performed quite frequently, some of them occasionally, one song ("PO' BOY") he played only once that year. The first live performance of "MISSISSIPPI" in Central Point was one of the finest live debuts in recent years. There were twelve more powerful appearances of this brilliantly crafted song in 2001, and it became obvious that this one simply was a gem in any setlist. In 2002 Bob Dylan did continue to perform this great song, including it in four shows in February; and in August 2002 "MISSISSIPPI" was performed once more, in Sioux Falls. For more than two and a half years after this, "MISSISSIPPI" had not been performed on stage at all, before in March 2005, in Reno, Bob Dylan chose to reintroduce this finest song from "LOVE & THEFT", during a show which started with Bob's first rendition of "FOLSOM PRISON BLUES" since 1999. Eight days later, "MISSISSIPPI" was performed as the first of the two encore songs during the last set of Bob's five show residency in Los Angeles. During the first show in Chicago, in April 2005, "MISSISSIPPI" appeared in the same center section as "CAT'S IN THE WELL" and "FOREVER YOUNG". One week later, in Milwaukee, "MISSISSIPPI" was performed among the encore songs of a show, which had also included "CAT'S IN THE WELL" and "STANDING IN THE DOORWAY". Another week later, during the first of three Boston shows, "MISSISSIPPI" appeared again as the first encore song. Nine days after that, in Atlantic City, "MISSISSIPPI" appeared in a mighty fine setlist, together with "GOD KNOWS", "RING THEM BELLS", "TRYIN' TO GET TO HEAVEN", "I BELIEVE IN YOU", and "A HARD RAIN'S A-GONNA FALL". And four days later, in New York, "MISSISSIPPI" was performed in the same show as "SEÑOR", "BLIND WILLIE MCTELL", and "A HARD RAIN'S A-GONNA FALL". During the May to July stadium tour of 2005, "MISSISSIPPI" appeared only once, during the show in Norwich, Connecticut, which also included one of nine performances of "SHOOTING STAR" as well as the only performance of "STANDING IN THE DOORWAY" during this tour. Almost five months later, in November 2005, Bob Dylan chose to perform "MISSISSIPPI" for the first time ever outside the US, as he included a very strong version of this fine gem into the third of his five London concerts during his remarkable European fall tour of 2005. 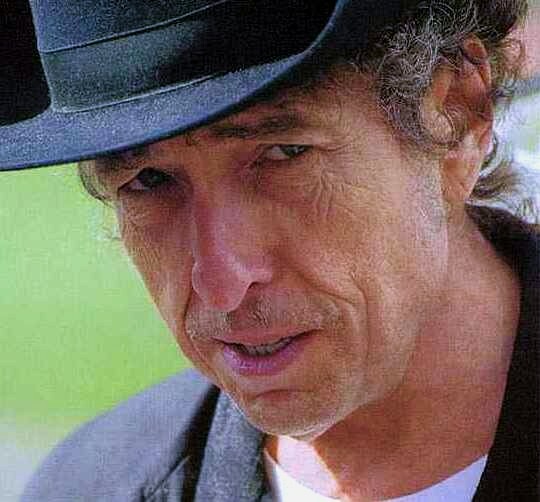 Exactly 27 months later, in February 2008, "MISSISSIPPI" was performed in Dallas, Texas, during the second of three warmup shows for Dylan's Latin America tour. Three months later "MISSISSIPPI" appeared in two North American warmup shows for the fine European summer tour of 2008, where this gem of a song was performed two more times, both in Spain. The second of these great versions, in Jérez de la Frontera, on July 8th, which followed a smoking rendition of "THE LEVEE'S GONNA BREAK", I had the extraordinary pleasure to witness standing in the first row. What a privilege to see the third ever European performance of this masterpiece, my favorite song by far from “Love & Theft”. Three more times "MISSISSIPPI" was performed in the USA during the summer of 2008, before it was given an almost three year rest from the stage. However in July and August of 2011 "MISSISSIPPI" resurfaced again, in the US, as song number six in 19 concecutive shows. In Europe, in October and November of 2011, "MISSISSIPPI" was performed another ten times; before one year later, in North America, in October and November of 2012, "MISSISSIPPI" was again performed another ten times.